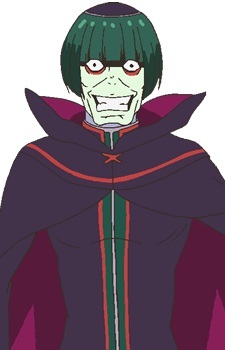 Petelgeuse has short green hair that is cut neatly along with black emotionless eyes. He wears a black, green, and red robe along with clerical attire. A hundred years ago, his appearance was mostly the same, except that he had tough yet gentle look. He had a sinewy and tall body, and also wore a black clerical robe.